The Dakota trail is at the Garden of the Gods Park in Colorado Springs, Colorado. The trail begins near the Central Garden Parking Lot 2 off of the Bretag trail. From there it climbs over a small hill where it travels along a craggy ridge on which bighorn sheep can be seen grazing at times. Toward the north end of the trail it drops into the valley where it crosses Camp Creek and comes to an end at the Foothills trail. The Dakota trail connects to the Bretag trail in two places about 500 feet or so from where the Bretag and Palmer trails begin near Parking Lot 2. As the two branches of the trail come together it continues on a short climb that takes it over a shoulder of the ridge. Hiking is restricted to the trail itself so if the bighorn do happen to be in the area you'll have to watch them from there. As the trail climbs over the shoulder of the ridge there is a sign that warns that the trail is closed ahead. The sign is referring to the creek crossing at the end of the trail that apparently experiences flash flooding. From its high point the trail begins working its way along the slopes of the ridge. 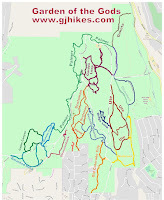 The gradual changes in elevation make the trail an easy hike. Near the end of the trail it turns eastward and begins descending the rest of the way into the valley. We respected the trail signs and turned around at that point returning the way that we came. 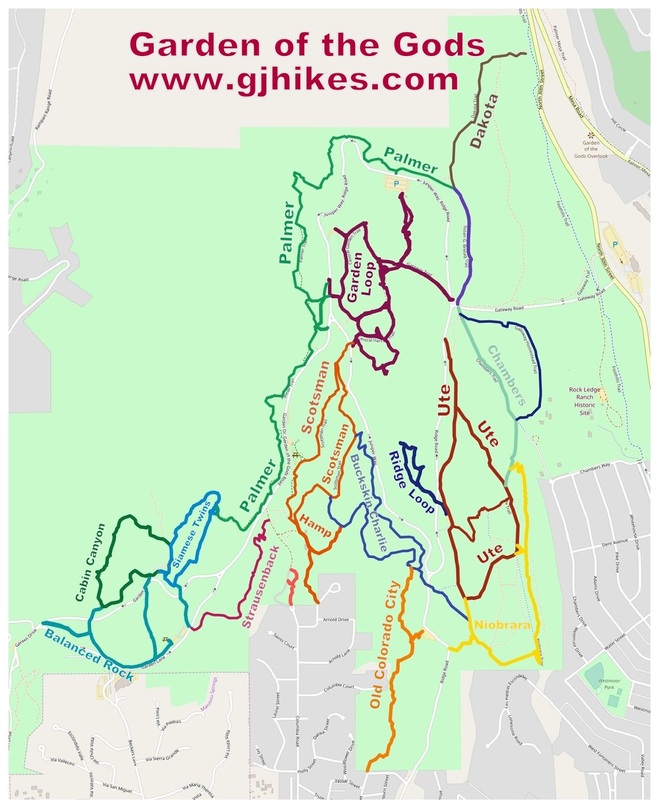 The Foothills trail can be seen about 100 feet or so past the signs. You really can't complain about the scenery on the hike back. There is a good view of the Kissing Camels from the south end of the trail. About the only thing that could have made the Dakota trail better would have been to see some of the bighorn sheep. 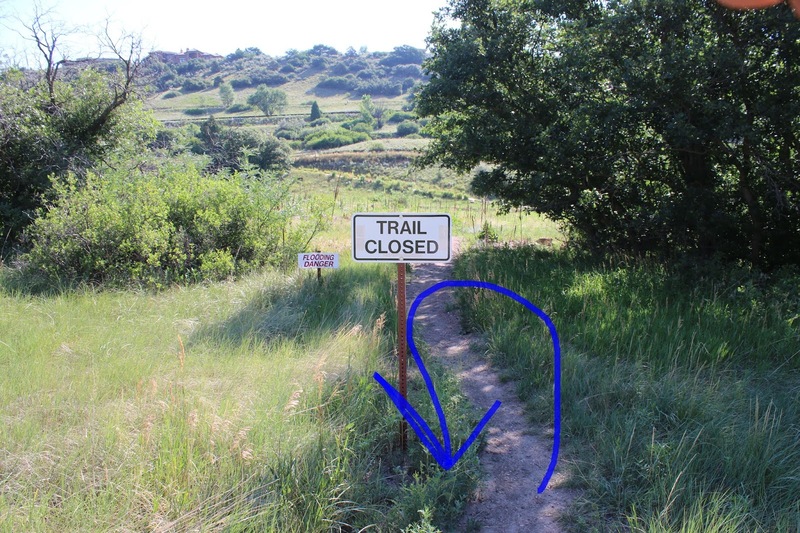 It would also have been nice if the end of the trail wasn't closed. The signs look more permanent than temporary making it seem that there were no immediate plans to reopen it. If you would like to see it for yourself then all you have to do is 'Take a hike'.